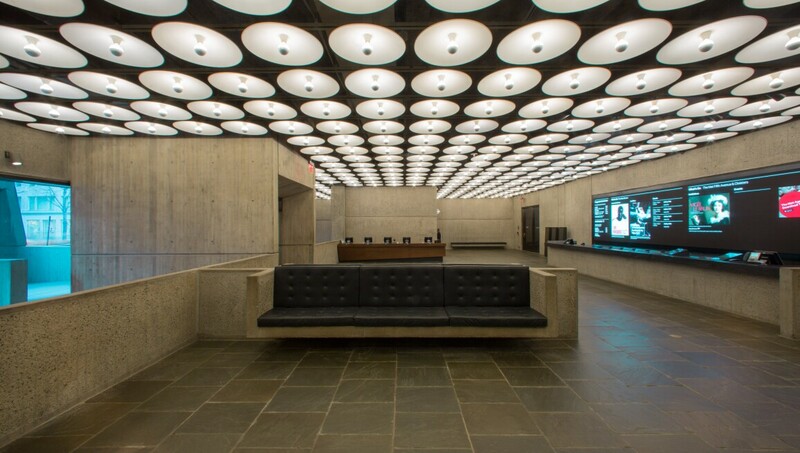 The newest addition to The Metropolitan Museum of Art family of spaces, The Met Breuer opened in 2016 on Madison Avenue and is dedicated to the exhibition of modern and contemporary art. The Met Breuer is located within the landmark arts building that formerly housed the Whitney Museum of American Art, designed by, and now named in honour of, renowned Bauhaus architect Marcel Breuer. The space boasts a comprehensive programme of exhibitions, performances, artist commissions, and residencies, and affords visitors the opportunity to explore in focus the art of the 20th and 21st centuries against the backdrop of the The Met’s unparalleled global and historical collection. Inside the Catalogue–"Like Life: Sculpture, Color, and the Body"